The Prosper Show conference is quickly approaching this upcoming Tuesday, March 13th and Wednesday, March 14th at the Las Vegas Convention Center. As an Amazon online seller, this conference is a great place to gain insights on all the latest resources, strategies, and services available to help you further enhance and grow your business. 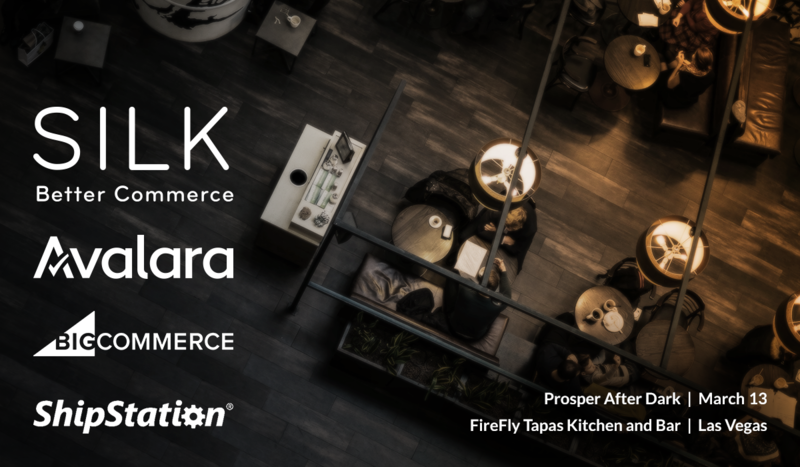 Come connect with us in the exhibitor hall during the day for tools and tips on how to increase your sales online, and then join SILK Software, Avalara, BigCommerce, and ShipStation for a fun night at FireFly Tapas Kitchen & Bar with drinks, hors d’oeuvres, entertainment, and great company. You’ll enjoy an open bar, Spanish Tapas, a Slow Mo Booth, swag giveaways, and more. Join us this Tuesday, March 13th at this can’t miss event “Prosper After Dark” from 7pm-10pm.